Team Sanfilippo Foundation is a non profit medical research foundation founded in 2008 by parents of children with Sanfilippo Syndrome. 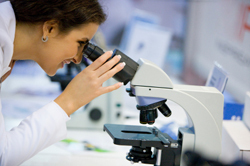 Our mission is to fund potential therapies that can be in clinical trials in the near future. We support Biotech, pharmecutical and research centers with potential therapies that are underfunded and provide assistance with connecting families to companies that need information for ongoing clinical work. Team Sanfilippo is dedicated to provide assistance to families to gain access to clinical trials, treatments and compassionate use. We help coordinate necessary genetic testing required for families to participate in clinical trials or treatments. This foundation has been formed to receive and distribute funds for scientific and educational purposes within the meaning of 501(c)(3) of the Internal Revenue Code. Team Sanfilippo has developed a strategic plan to achieve our mission. Due to recent scientific advancements in the areas of enzyme replacement, gene therapy, and small molecules which has led to the initiation of clinical programs for Sanfilippo and other lysosomal storage diseases we will be focusing on the development of combined therapies to give children the best possible treatment strategies. For symptomatic children, with manifestations of advanced disease, these emerging therapies may offer only limited benefit. Therefore, Team Sanfilippo is seeking research proposals focusing upon advancing the scientific understanding of the neuropathological changes that occur in MPSIII and potential mechanisms for restoring neuroplasticity and neurogenesis once disease progression has occurred. Of specific interest will be proposals that examine synergistic interactions with emerging therapies. With the advancement in combined therapies we will be able to give children the best quality of life.